I recently needed to purchase a new sewing machine so I looked on Amazon like usual. 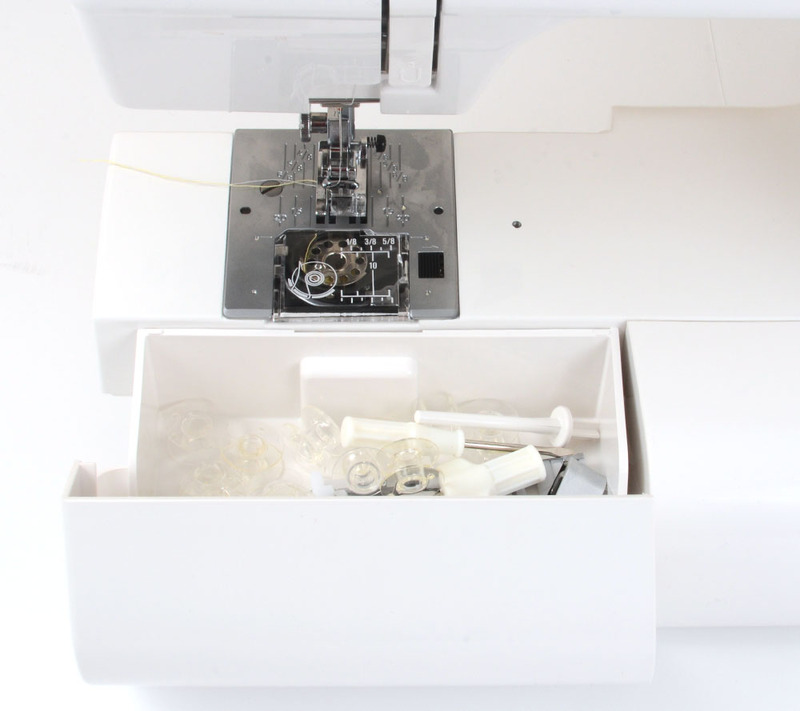 I was looking for a really basic mechanical sewing machine. 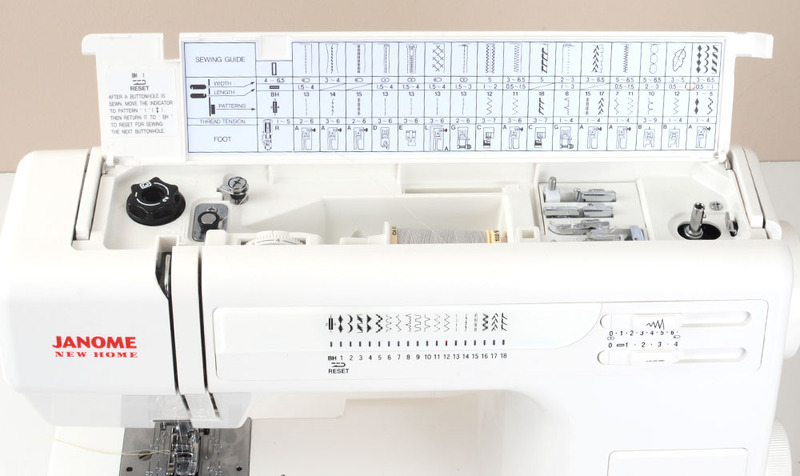 I don’t need the electronic settings or embroidery options. I ordered the Singer heavy duty to try first because it’s so cheap. Not surprising, I hated it and sent it back. 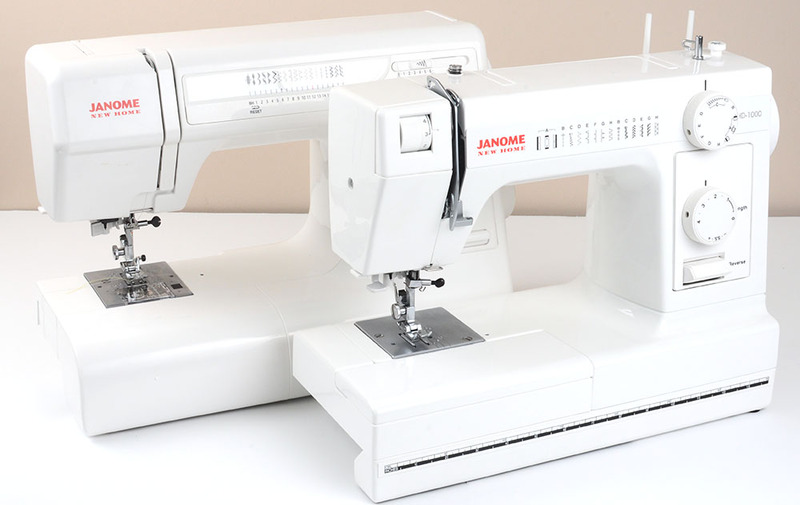 Then, I ordered the Janome HD-1000 (affiliate). I got it and used it for a day. I knew I didn’t like it because it didn’t have manually adjustable foot pressure. It also wobbled a bit and I didn’t like the front loading bobbin. So, back to Amazon! 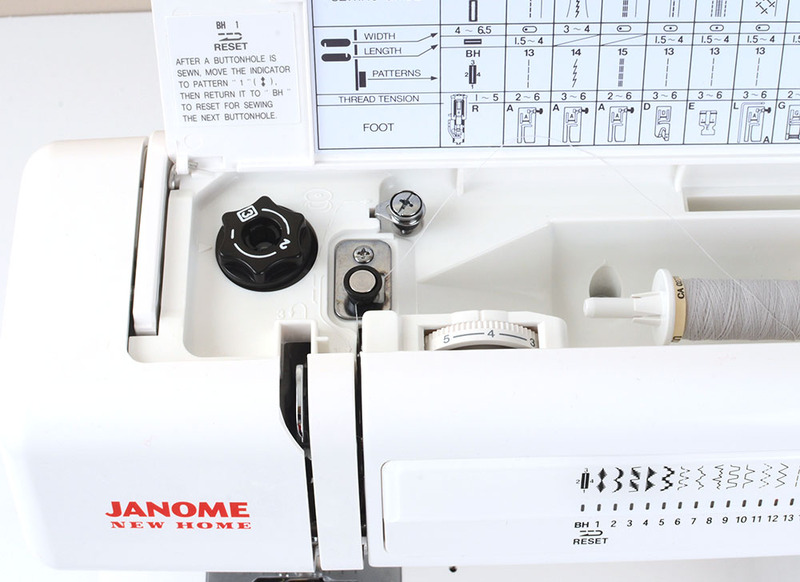 I ordered the Janome HD-3000 (affiliate) because it stated adjustable foot pressure (YAY!) and it had a top loading bobbin. 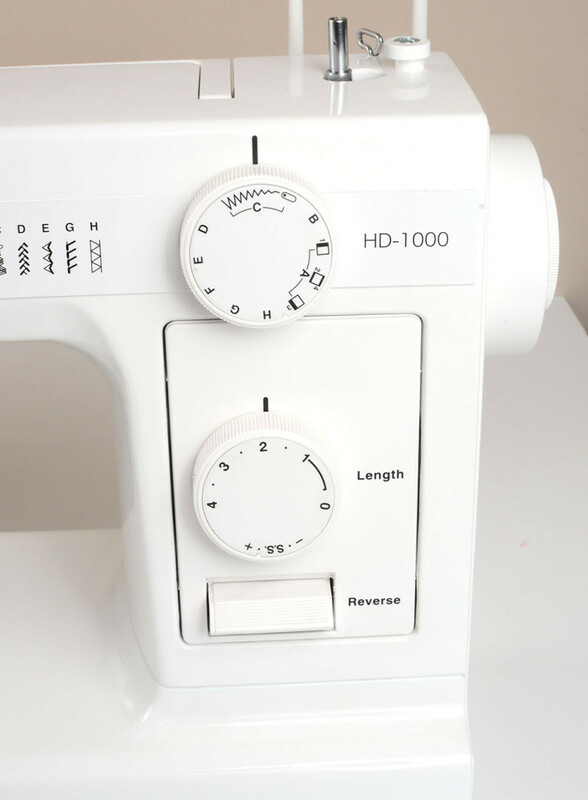 Now, I know my sewing needs aren’t the same as everyone so I took a few photos of the HD-1000 and HD-3000 to show some of the differences. You can decide for yourself which you would like better. 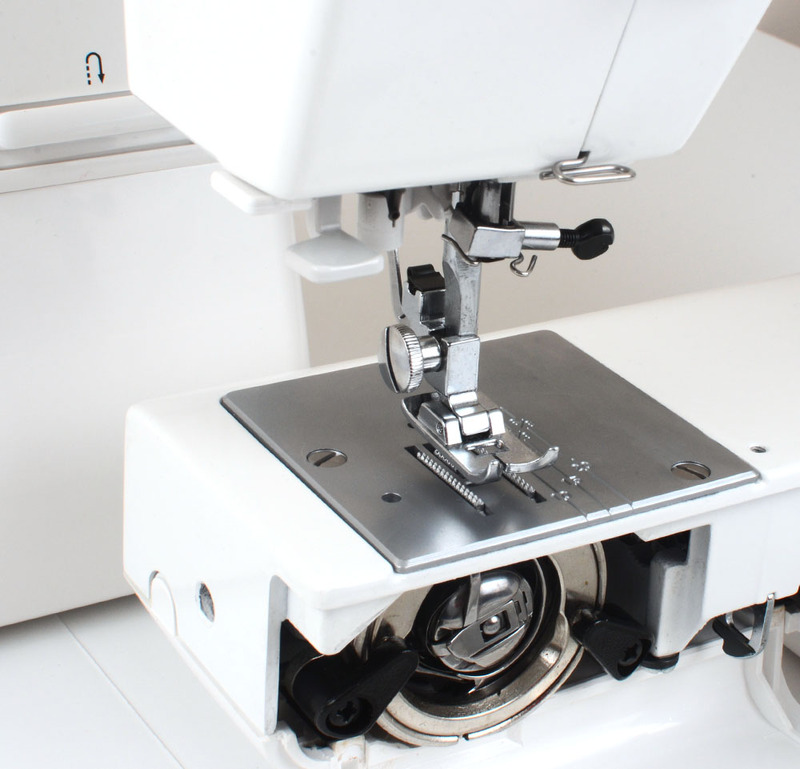 Here you can see the top loading bobbin on the HD-3000. Also the storage drawer. This is the HD-1000 front loading bobbin. 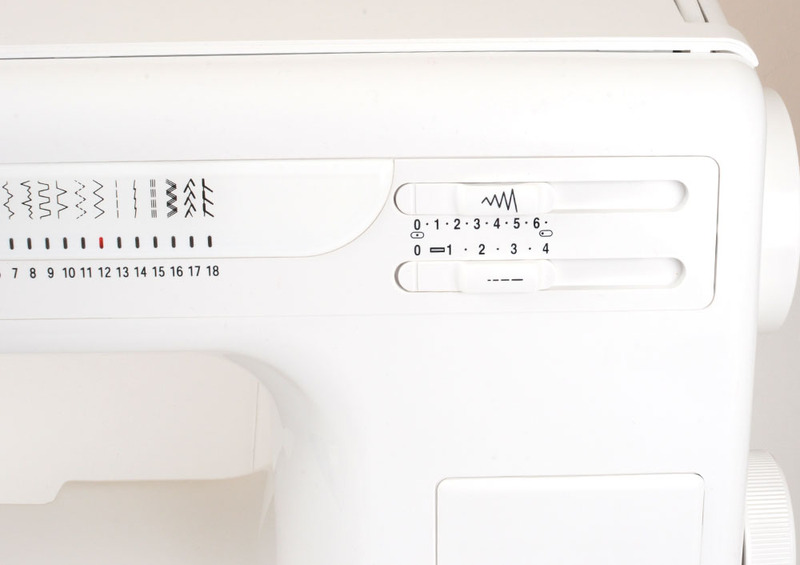 HD-3000 stitch settings. It was a lot easier to use and felt more intuitive. 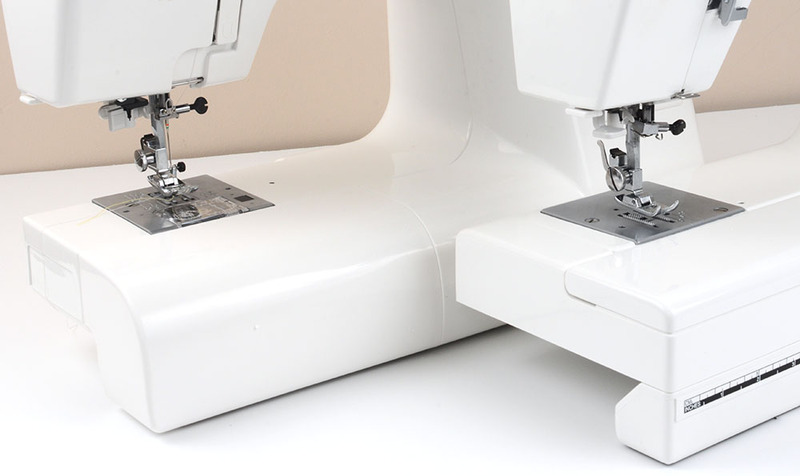 You adjust the type of stitch with the bottom knob on the right side. I thought this was awesome on the HD-3000. This is the top. 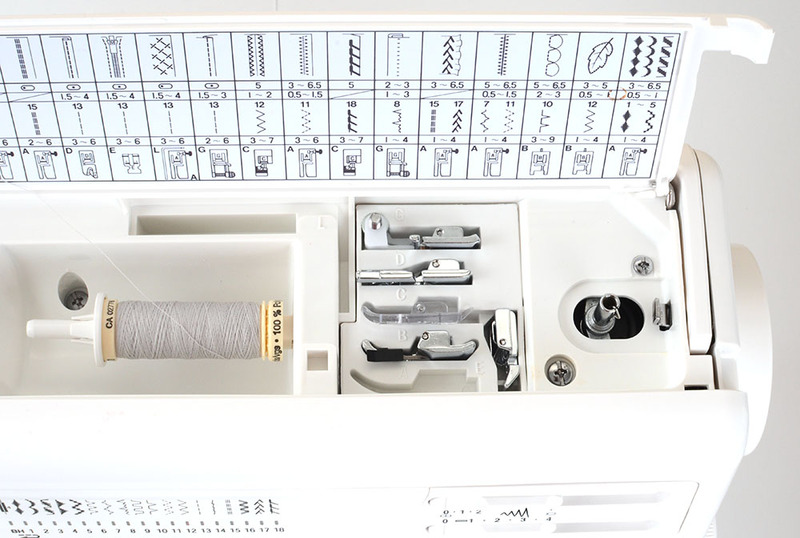 It opens up and you can see all the stitches, it’s where you put your thread, thread bobbins AND store some feet! I love it. It closes so everything looks super clean. Here you can see the foot storage a little better. And, the adjustable foot pressure! That black knob.. So, I sent the HD-1000 back and kept the HD-3000. I’ve been using it for about a month and I still like it. So far, so good! I’ll update after I use it a little longer. Hope this helps a bit if you’re considering one of the two!